Reducing damage to children's health and development due to elevated lead in the body has been a national effort of public health agencies. In Gloucester, reducing children's exposure to lead is performed through enforcement of Massachusetts Department of Public Health's State Sanitary Code 105 CMR 410 for housing units and the specific regulations for Lead Poisoning 105 CMR 460. 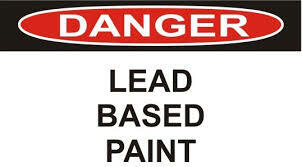 The Gloucester Health Department requires a lead determination in any dwelling where a child under the age of six resides and if the results are positive will require the owner to obtain the services of a licensed Lead Inspector to determine the levels of lead present in the home and to take appropriate corrective action.